Rallying is just about as predictable as the British weather and more cruel than a TV reality show. 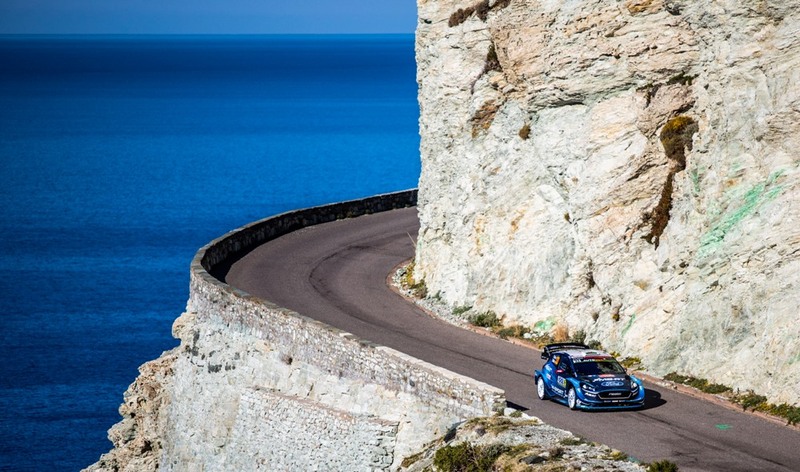 Victory on the Tour de Corse was looking good for Elfyn Evans and Scott Martin. 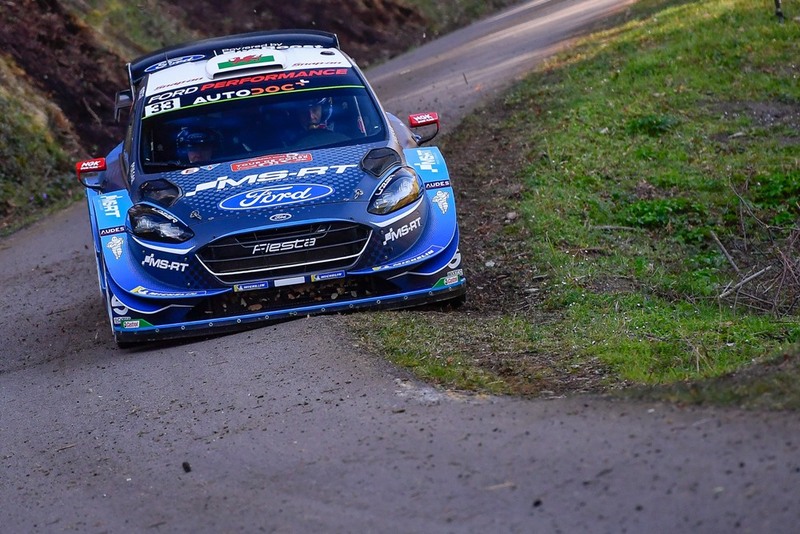 The M-Sport Ford Fiesta pairing held lead the rally at three different times during the weekend and they went to bed on Saturday night in second place, 4.5 seconds behind Thierry Neuville. We'll need to find out what Elfyn had for breakfast on Sunday morning for on the very first stage of the day he took 16 seconds out of the Hyundai driver. Evans was home and dry. Ooops, maybe not, this is rallying. On the final stage of the day, the Fiesta punctured a tyre. 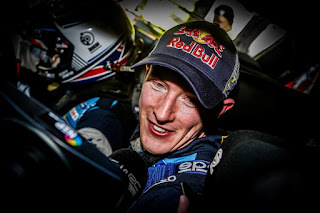 Evans lost 90 seconds and the lead, dropping to third place overall and handing victory to a surprised Thierry Neuville. 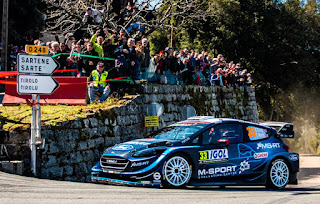 At the finish Elfyn said: “It’s disappointing right now, but overall it’s been a really positive weekend and we know that we had the speed to win. 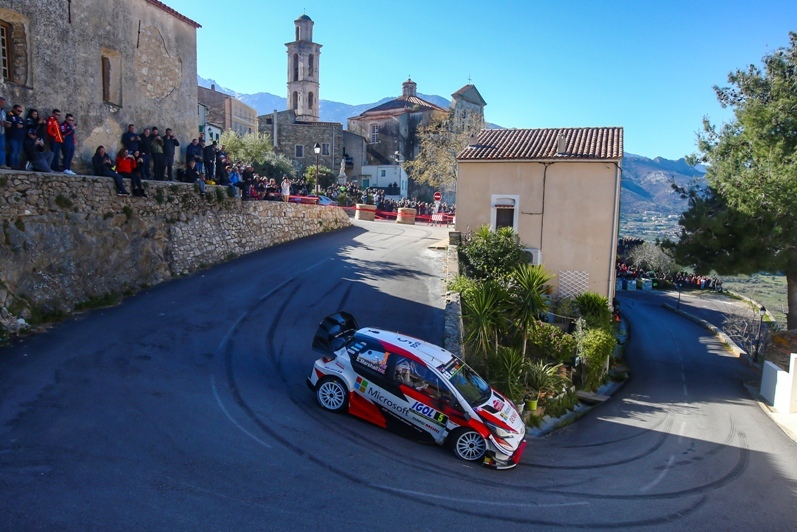 The first stage this morning felt really good, and we had a good rhythm going into the Power Stage. I’m not sure exactly what happened, but it felt like we were in the middle of the road and just unfortunate to hit a stone or something in the line. Straight away I knew it didn’t sound good, and sure enough a couple of hundred metres later we got the puncture alarm. We had 11 kilometres to go and I knew that if we stopped to change it we would lose a lot of positions. 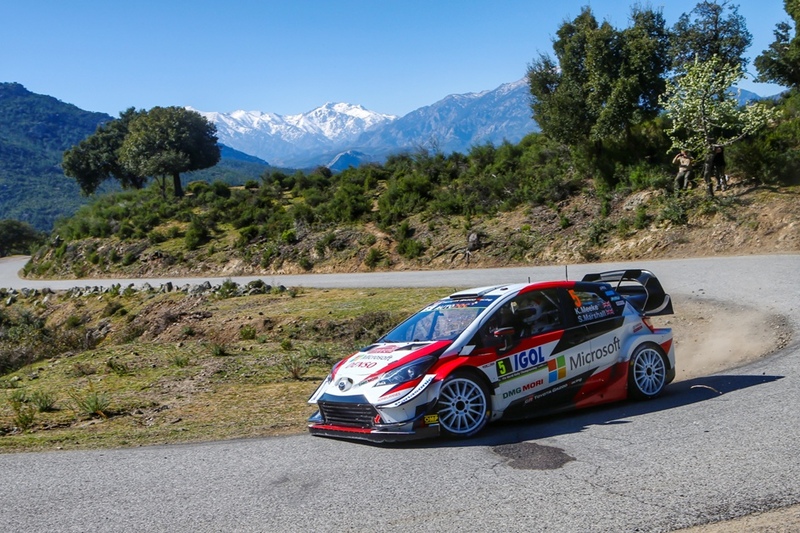 We decided to continue, and thankfully made it to the end to salvage a podium." Sebastien Ogier finished second behind Neuville after struggling with the Citroen's set-up over the first couple of days while Ott Tänak had to be content with 6th place after a puncture on Saturday afternoon. He finished behind Dani Sordo in the Hyundai and Teemu Suninen who was 'under orders' to finish in the Fiesta! 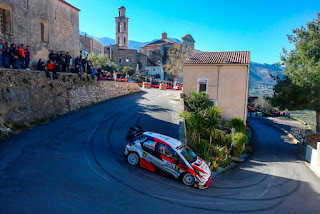 As for Kris Meeke he lost 50 seconds on the opening stage of the rally when he damaged his front-left wheel and tyre and then damaged the Toyota's suspension on the 5th stage losing nearly three minutes in total.